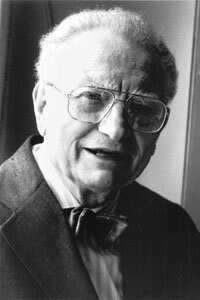 Boston: Paul Samuelson, whose work helped form the basis of modern economics, died on Sunday in his home in Belmont, Massachusetts, after a brief illness. He was 94. His death was announced by Massachusetts Institute of Technology (MIT). Samuelson was renowned for his work in applying rigorous mathematical analysis to the balance between prices and supply and demand. Samuelson was the first American to be awarded a Nobel prize in economics—in 1970, the second year of the award. At the time, the Swedish Academy cited Samuelson for having “done more than any other contemporary economist to raise the level of scientific analysis in economic theory." Samuelson insisted that mathematics was essential to economic analysis. In his seminal 1947 work, “Foundations of Economic Analysis", Samuelson chastised his profession for practising “mental gymnastics of a particularly depraved type", and being “highly trained athletes who never ran a race". Samuelson helped lift MIT’s economics department to its current stature as a world-renowned research and teaching institution. When Samuelson joined MIT’s faculty in 1940, the school did not train graduate students in economics. Among MIT’s prominent alumni are Federal Reserve chairman Ben Bernanke, Nobel laureate ‘New York Times’ columnist Paul Krugman, and Christina Romer, chair of the White House Council of Economic Advisers. Samuelson’s signature textbook, “Economics: An Introductory Analysis", has been translated into 40 languages and has sold more than four million copies since its publication in 1948. Paul Anthony Samuelson was born in Gary, Indiana, in 1915. He graduated from the University of Chicago and received a master’s and doctorate from Harvard University. He was an adviser to Presidents John F. Kennedy and Lyndon Johnson, and for years wrote a popular column in ‘Newsweek’ magazine. “He leaves an immense legacy, as a researcher and a teacher, as one of the giants on whose shoulders every contemporary economist stands," said James Poterba, MIT economics professor and president of the National Bureau of Economic Research.